Looking for a cost-effective, durable and energy-efficient system for your flat or low-slope roof? EPDM (Ethylene Propylene Diene Monomer) rubber or TPO (Thermoplastic Olefin) membranes may be a solid option for you. Installed according to the highest roofing standards, EPDM rubber and TPO membrane roofs are a durable, weather-resistant and easy-to-maintain flat or low-slope alternative to asphalt shingles. With Reno-Assistance by your side, you will be able to quickly determine if one of these roofing alternatives works for your home. 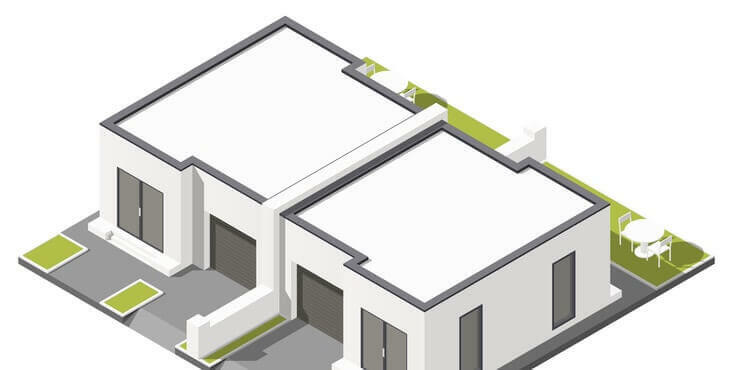 What are EPDM and TPO membranes? EPDM - EPDM roofing membranes are made from a synthetic rubber composed of ethylene, propylene and diene. That's technically recognized as a thermoset single-ply membrane for a wide range of climate conditions. This membrane usually comes in black. TPO - TPO roofing membranes normally come in white and are made from ethylene propylene rubber and numerous filler materials. They include talc, carbon filler, and fibreglass to reinforce their strength and durability. EPDM rubber roofing averages between $7.50 & $9.00 per square foot (installed), including materials and labour, which makes EPDM a cost-effective alternative. TPO roofs cost an average of $8.00 to $9.50 per square foot (installed), including materials and labour, which makes TPO a cost-effective alternative. EPDM rubber roofing is a high-tensile strength (the force it takes to bring something to the breaking point), single-ply membrane ideal for long-term water tightness. 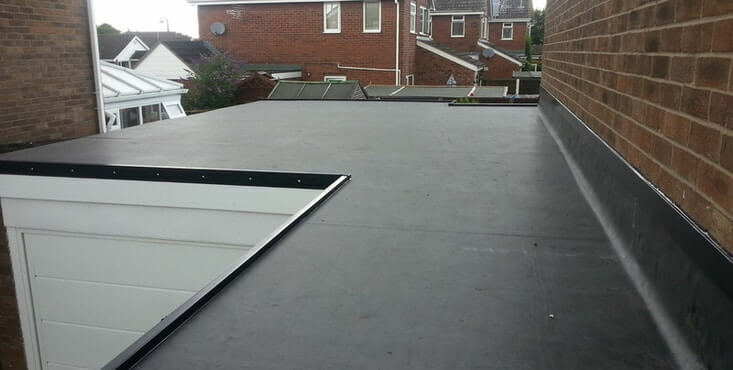 TPO roof seams are heat-welded with hot air to provide exceptional water tightness. EPDM rubber roofs are highly resistant to UV rays, intense temperature fluctuations (cold and hot), fire, steam and polar substances. TPO roofs are as UV, heat and weather-resistant as EPDM roofing systems under the same climate conditions, making them a worthy contender for your roof. EPDM roofs have a longer service lifespan than many other roofing systems (up to 35 years). TPO roofing's life expectancy can vary from 15 to 30 years, but TPO is a relatively new technology (under 20 years), so it's difficult to predict the actual lifespan of a TPO system. 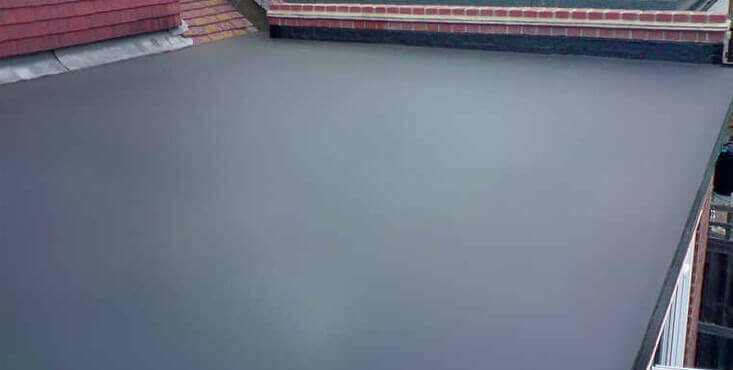 Given the long-lasting elasticity and flexibility of EPDM membranes, EPDM rubber roofs are less likely to split or crack, making them more durable and longer lasting than many other types of roofs. Due to their flexibility, TPO membranes are highly resistant to tears, punctures and impact damage, making them more durable than other roofing systems. EPDM rubber roofs save energy by reducing air conditioning and heating usage, a major year-round benefit in both hot and cold climates. TPO membranes reflect the sun’s ultraviolet rays, significantly reducing HVAC costs in any climate. EPDM roofs, which now provide the perfect balance of style and function, are starting to come in a wide variety of shapes, textures, sizes and colours, making them aesthetically appealing. TPO roofs, which are manufactured to satisfy a wide range of design needs and specifications, are available in white, light gray and black tones, which would only add to the curb appeal of your home. 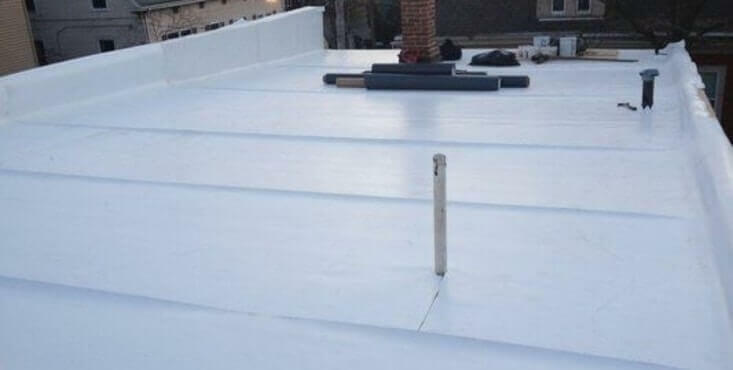 EPDM roofs require little maintenance other than occasional rubber membrane seam repairs over time (due to standing water or dried-out glue) to extend their lifespan. TPO roofs, due to structural stress and environmental exposure over time (which can lead to surface degradation, thinning and shrinkage), will need sporadic repairs to extend their life. Long lasting and durable, EPDM roofs make an excellent long-term investment for homeowners with flat or low-slope roofs. TPO roofs are a cost-effective, durable and energy-efficient roofing system option, making them an outstanding investment for the long term. • EPDM - Although EPDM roofs are tremendously durable, they are not indestructible. Both foot traffic and falling objects, such as tree branches, can cause damages to the membrane and even tear it. This leads to water infiltration that may cause additional problems. • TPO - Because TPO is still a relatively new roofing material, it’s tricky for experts to determine the actual life expectancy of them. When it comes to its installation, it requires experienced contractors. 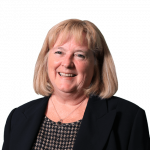 Finding the right EPDM or TPO roofer can be daunting. Many roofing contractors claim to be experts in installing EPDM and TPO roofs when, in fact, they are not. Using the wrong roofer to install a rubber roof can lead to many roofing issues. It can result in unexpected costs down the road. Let one of Reno-Assistance's dedicated renovation advisors assist you with every stage of your roofing project. Trust Reno-Assistance to refer you to the roofers you need to get your job done on time and on a budget, starting with sending you — and reviewing — up to three competitive quotes from these experts. And the best news? This is a free service and you are under no obligation to work with the contractors we refer to you. Though, we believe you’ll be more than satisfied with their workmanship. Working with Reno-Assistance will surely make your roofing project a success. Talk to one of our dedicated Renovation Advisors now!